My first apartment here was on Ponce de Leon Street. Next door to Mary Mac’s Tea Room, Papi’s Cuban & Caribbean Grill and Top Flr that is no longer open but had a huge part in Atlanta Southern hospitality. I moved here by myself, I didn’t know many people. I had my roommate, a few Israeli friends and my colleagues. 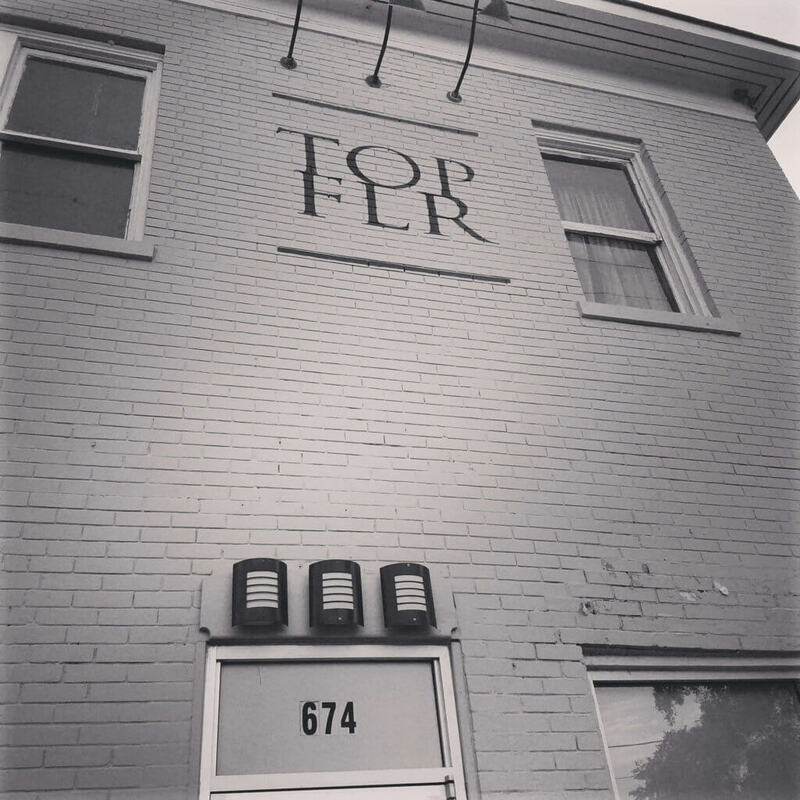 I heard about Top Flr but it took me two months to check it out. I set at the bar and Michelle- the bartender offered me cocktail and asked where I was from. 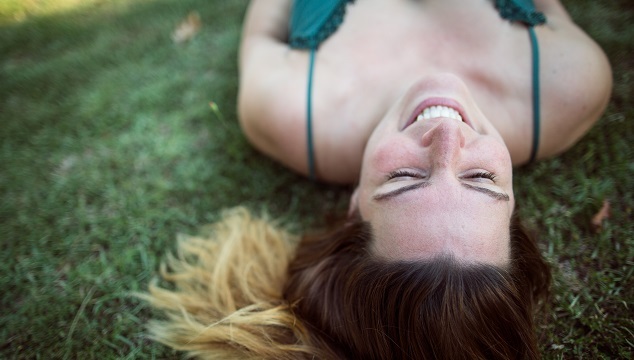 “I am from Israel, new in town and I live around the corner. I finally decided to check this place out; I heard great things about this spot and I wish it can be my spot”. I answered without breathing in between. Michelle poured himself a drink, and we cheered our glasses. “Lech-aim”’ he said. “You are always welcome here; we will do our best to make you feel like home”. I used to spend a lot of time at Top Flr. I brought my friends, my family, dates, even few famous Israeli singers that had a concert in Atlanta. Michelle, Brendan, Caleb, Ryan (Chef), and Darren (owner), were always there for me. For celebrations, holidays, for breakups, for trying my pastries and for no special reason at all. Back then, when people asked me why I liked this place so much, “it reminds me Tel-Aviv” I said. Something about the vibe, the people and the Tuna tartar, made me feel like home. Top Flr was closed year ago. I was sad, but I guess it was time to move on. Few months later, I moved to a new apartment and Top Flr is now transforming to something new (TBA). The Top Flr family spread out as well throughout few locations in Atlanta, and If I still want to enjoy sophisticated cocktails, treat myself to excellent food, and see friendly faces; I can find them in The Lawrence on Juniper Street (Top Flr’s older sister), Empire State South, and AMER. Each one of the following is special on its own, and yet what drew me to visit, is Top Flr vibe I carry with me. 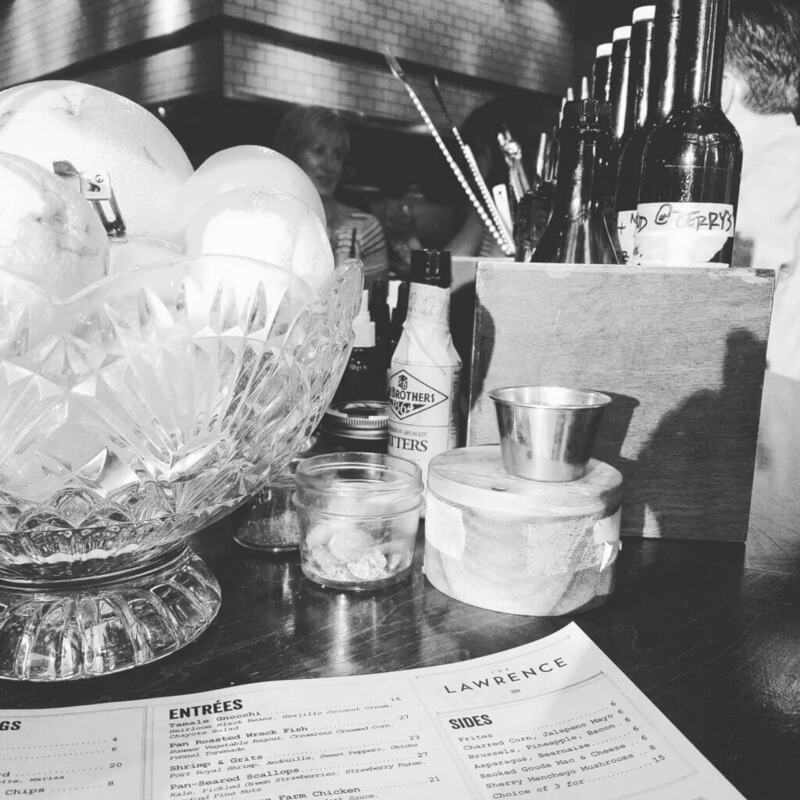 The Lawrence got thru a face lift in the last few months, they changed the menu little bit as well. I had the opportunity to visit there when Ryan Goss (chef) worked his last shift before he left to do his own thing in NYC. Like I mentioned, Ryan knew me from Top Flr and when I saw him I asked him to surprise me with his food. Anton, the bartender made me one of Lawrence cocktails while I was waiting for Ryan’s’ creations. 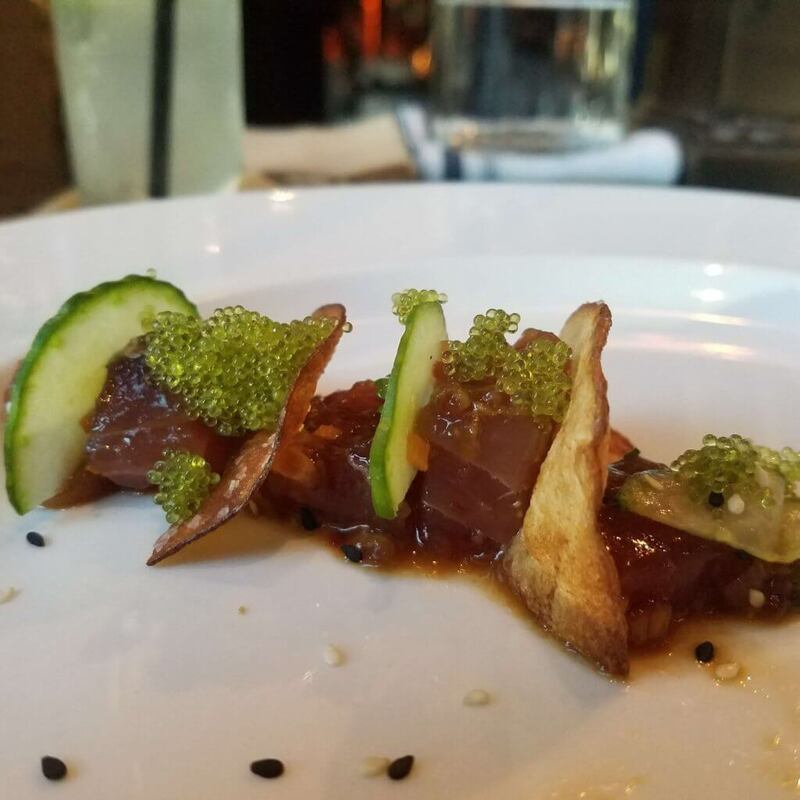 First to arrive was the Ahi Tuna Poké- small bite of fresh cut Tuna with homemade chips, sesame, cucumber, the right amount of soy; it is always my kind of appetizer. Next to arrive were Piranha Ribs and Coconut Kashmiri Octopus, Anton made me a special cocktail that matched perfectly. The Piranha Ribs texture felt like chicken, very good rich smoky chicken, although it was fish. 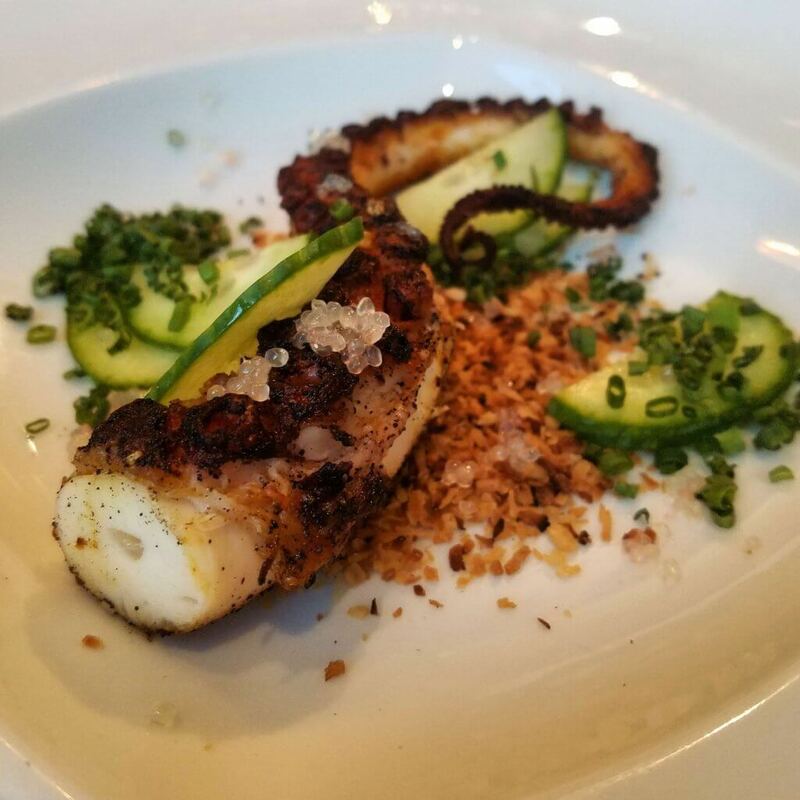 In my opinion, my highlight of that dinner was the Octopus. First of all, it is just a beautiful dish. The colors on the plate provides a slight clue how your mouth going to have so many various tastes in one bit; that together create something new and tasty. For desert I ordered the fries. 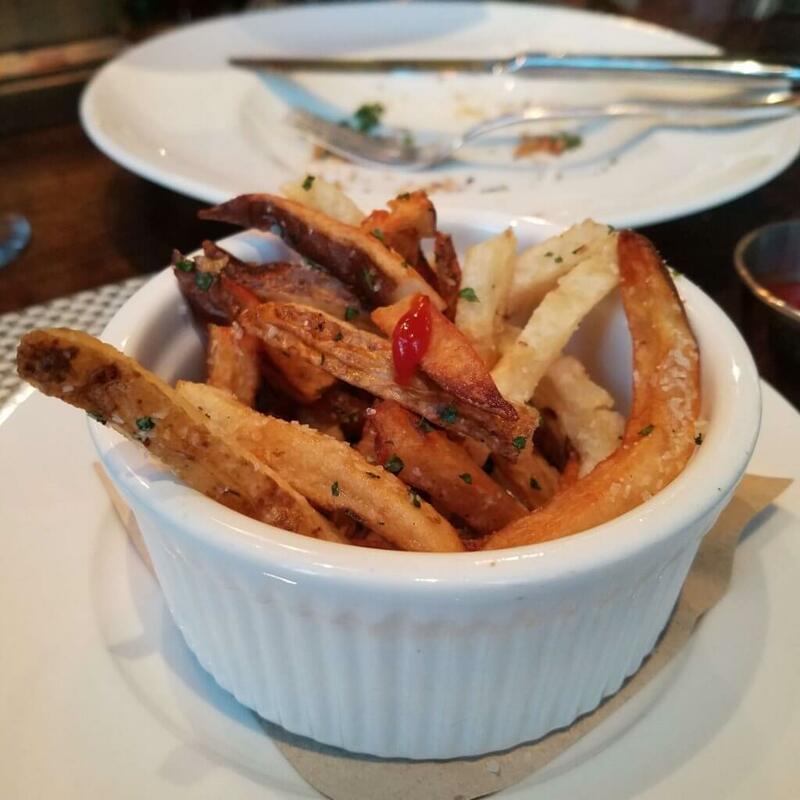 (This is the thing; I am obsessed with fries. If there are fries in the menu, I have to order it). It was the perfect desert. Every visit at The Lawrence gives me taste of Top Flr days, after all she is her older sister. I mentioned Top Flr in my Hebrew blog few times but always wanted to dedicate a full post to my first spot/lounge/restaurant and now I have. Thank you Top Flr, it was a blast while it lasted. can’t wait to see what is coming next.